Stephen Bassett is a leading advocate for ending the government imposed truth embargo regarding an extraterrestrial presence engaging the human race and the planet earth. He is a political activist, founder of the Paradigm Research Group, Executive Director of the Extraterrestrial Phenomena Political Action Committee (X-PPAC), author of the Paradigm Clock website, and a political columnist and commentator. Presently he is the only registered lobbyist in the United States representing extraterrestrial-related phenomena research/activist organizations, and X-PPAC is the first political action committee to target the political implications of extraterrestrial-related phenomena. In 2002 he conducted an independent Congressional campaign for the 8th District of Maryland. It was first instance in which a congressional candidate on the November ballot in a federal election addressed the matter of an extraterrestrial presence and the 5-decade government imposed truth embargo. On January 13 of 2003 he launched a new initiative, the Citizen Hearing, with the intention of conducting a week-long hearing in Washington, DC before former Members of the US House and Senate. The motto is, "If Congress will not do its job, the people will." This ground breaking project took ten years to materialize, and took place from 29 April - 3 May 2013. In April of 2004 he produced the 1st Annual Exopolitics Expo - the X-Conference - held at the Hilton Washington, DC North/Gaithersburg. It was produced by Paradigm Research Group. The 2nd Annual Exopolitics Expo (X-Conference 2005) was completed on April 22-24, 2005. Since then, every year an X-Conference was held, with the last one in 2010. Since 1996 Bassett has assisted many other organizations and initiatives which have been making the case for 1) an end to the government embargo on the truth surrounding an extraterrestrial presence, and 2) open congressional hearings to take the testimony of former military and agency employees witness to extraterrestrial-related events and evidence. His work has been referenced in, among others, the Washington Post, Washington Times, New York Times, Legal Times, Christian Science Monitor, National Journal, Pravda, London Sunday Express and O’Dweyer’s Washington Report. 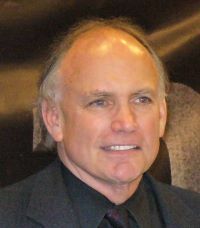 He has appeared on hundreds of radio and television talk shows, in numerous documentaries and brought the message to millions of people of the likelihood and implications of "Disclosure" - the formal acknowledge[ment] by the United States government of an extraterrestrial presence about the earth - not maybe, not someday, but NOW. Steve Bassett is a member of the Advisory Board of the Exopolitics Institute, and found of the Exopolitics World Network.